Will this be a piste or a trail next March? Place your bets! 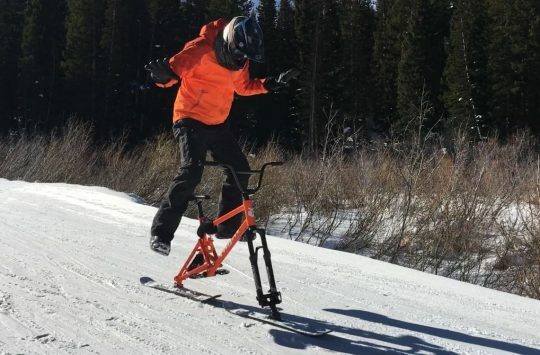 When you’re riding a mountain bike, do you ever wish you were skiing instead? Or perhaps snowboarding? 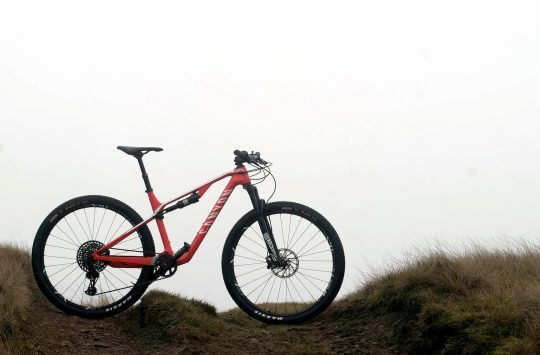 When you’re skiing or snowboarding, do you ever wish you were riding a mountain bike instead? Well then, this event is for you. 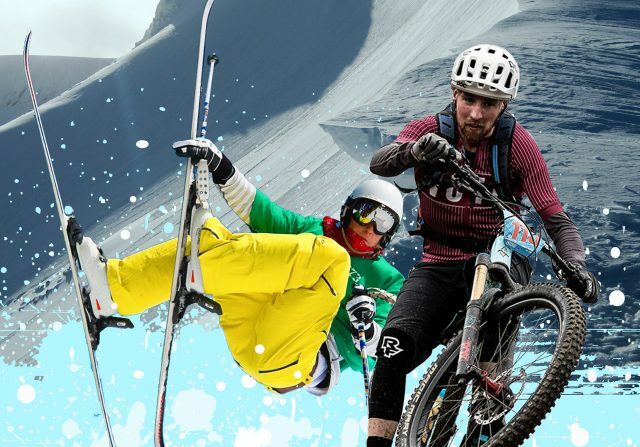 Ski-An-Duro will be happening in Scotland next March, and has three stages: a mountain bike stage on Nevis Range, a ski/snowboard stage, with length depending on what the snow conditions are like at the time; and finally a mass start descent from near to wherever the snow line is. Variables are usually something event organisers try to eliminate, or at least shove into a file labelled “CONTINGENCY PLANS”. It’s certainly interesting to see an event with that much flexibility built in! Read the full release below for more details. “Outdoor Capital of the UK (Lochaber) based events company No Fuss events have today (09/08/17) announced some exciting news for 2018 with the introduction of a brand new race to their programme. Ski-An-Duro is an absolutely bonkers Ski/Board and Mountain Bike race from the summit of Aonach Mor to the Pine Martin café at the base station. Taking place on 17 March 2018 150 Individuals or teams are expected to compete in this exclusive race. 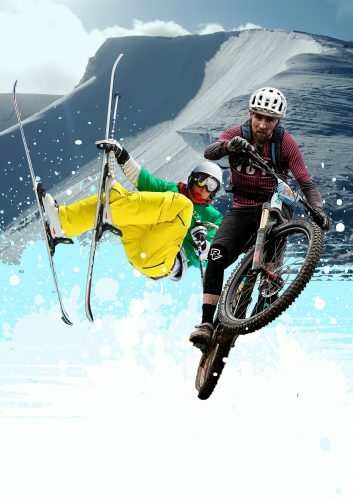 Open to individuals or teams, participants will start with a Le Mans style run to their ski or boards then descend a route incorporating the ski areas many features to the designated transition area to pick up their bikes. From transition participants will have to ride an enduro style stage incorporating sections of the world famous mountain bike downhill course all the way to the base station. The event, which is along similar lines to events such as the Ski-To-Sea races at Mt Baker in the USA and others staged annually in countries like New Zealand, will see Scottish and UK racers tackle a variety of challenges both above and below the snowline. The format for Ski-An-Duro is simple – two initial stages with your combined time giving you a grid position for the final mass start race. 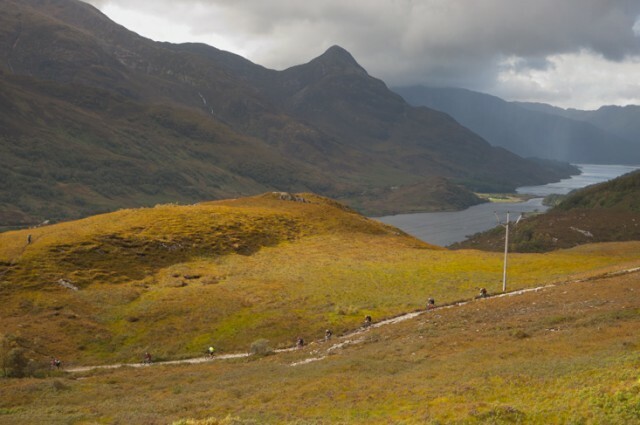 Stage One – a classic mountain bike enduro stage utilising one of the many legendary stages at Nevis Range. Stage Two – the snow sport stage utilising the Nevis Range mountain terrain and maximising the existing snow cover. 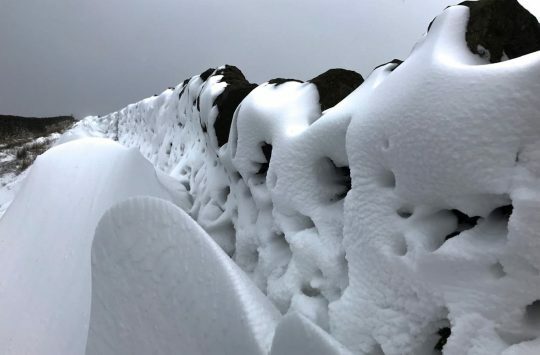 This stage is for skiers or boarders and will present a course as demanding as conditions will allow. Stage Three – the mass start race from as high on the mountain as conditions will allow, participants will race to the designated transition area before changing to mountain bike and descending the mountain using parts of the world famous mountain bike downhill course and other classic enduro routes that the mountain has to offer. Is it still too early in the year to be planning your 2018 events calendar? Not so for the team at No Fuss Events. Frazer Coupland from No Fuss said: “2018 has been on our mind for a while now. In 2018 we will once again be hosting the World Endurance Mountain Bike Organisations 24hr World Championships for solos and pairs. Date is 24th March 2018 on the NoFuss Website!